Huawei upped its ante in the smartphone games with the Honor 2 just weeks ago, but with few mentions of where the phone maker might place its bets outside of its native China. An FCC filing has at least raised the slim chance that Huawei might look to North America. The newly-tested device doles out HSPA+ support on the 850MHz, 1,700MHz and 1,900MHz bands, letting it work with the 3G of just about any American or Canadian GSM carrier. 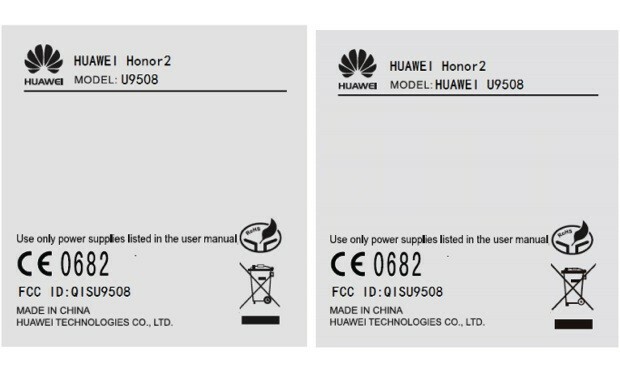 Without any LTE to speak of, though, the Honor 2 variant is more likely to appear on a smaller network that doesn't yet have access to the faster data, such as T-Mobile or Wind -- if it shows up at all, that is. As FCC approvals only occasionally spoil a launch, we'll mostly be waiting to see if Huawei or carriers step forward before anticipating the mid-tier phone on this side of the Pacific.